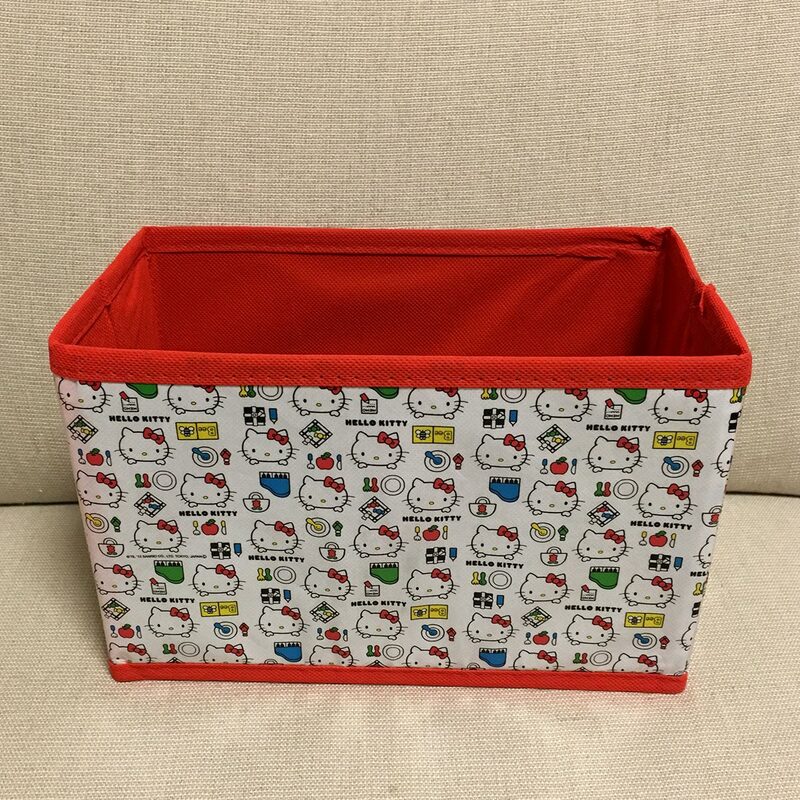 This is for the school kids, an open Hello Kitty foldable box to organize and store their favorite school stationery in. 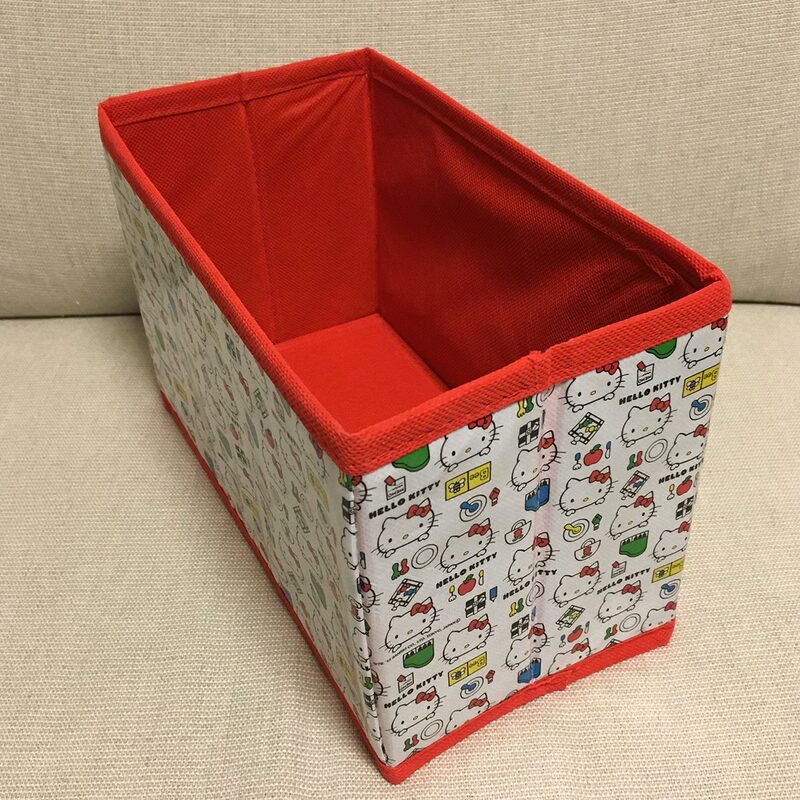 This cute box is collapsible to make it easy to store when not in use, while taking up very little space. 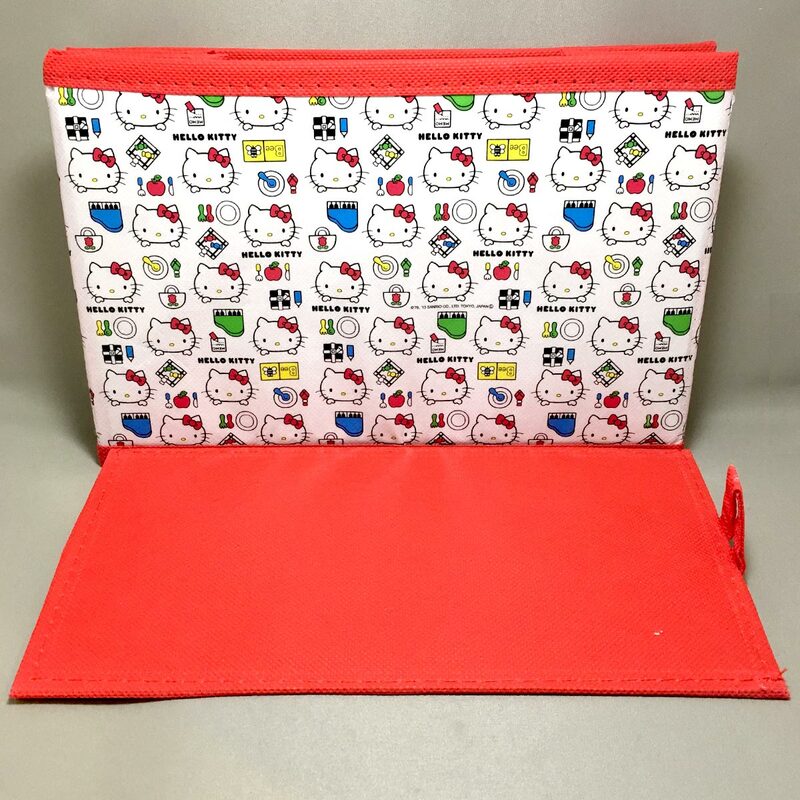 The box is reinforced and stabilized with a red cardboard covered with the same fabric as the box interior. 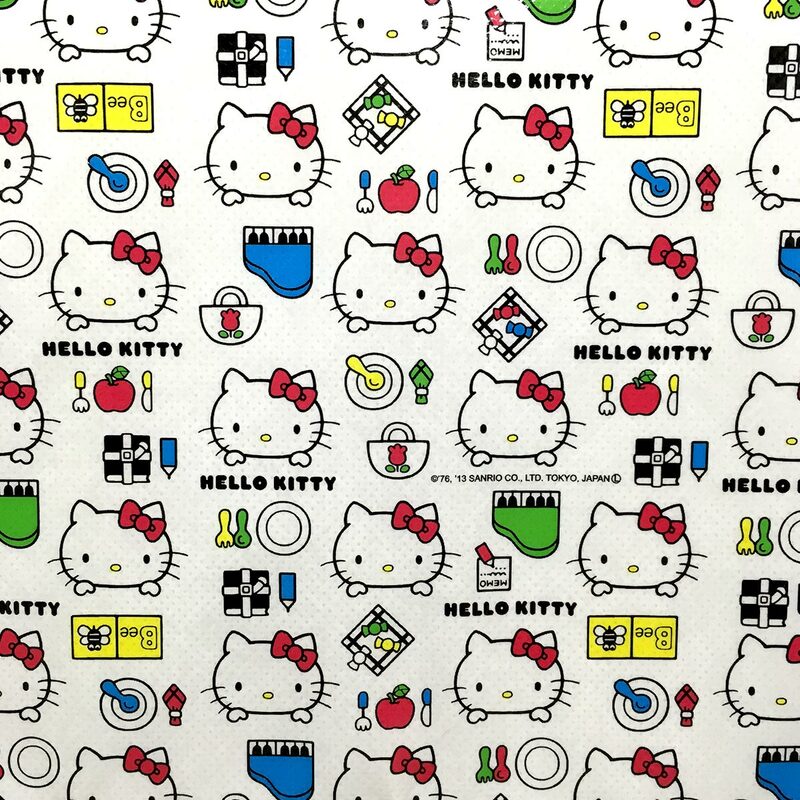 The plastic exterior is covered in cute Hello Kitty illustrations. 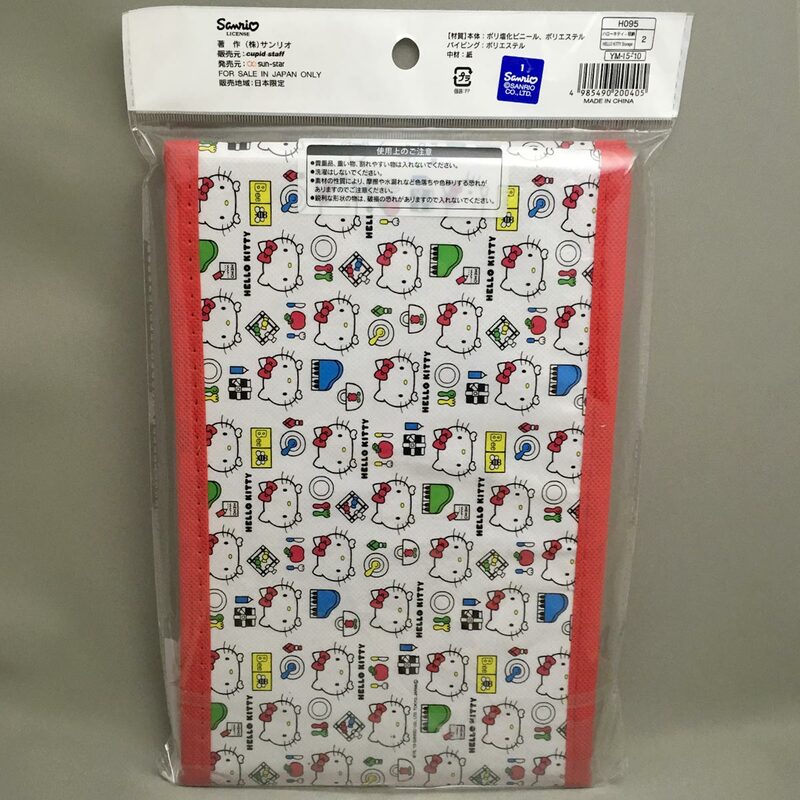 The Hello Kitty Foldable box is a licensed product from Sanrio (Sanrio seal on the back packaging). – Do not store valuables, heavy or fragile items in the box. – Do not wash in washing machine. – Due to the properties of the materials, color may bleed or fade due to surface wear from rubbing or exposure to water. – Sharp objects may damage the box. 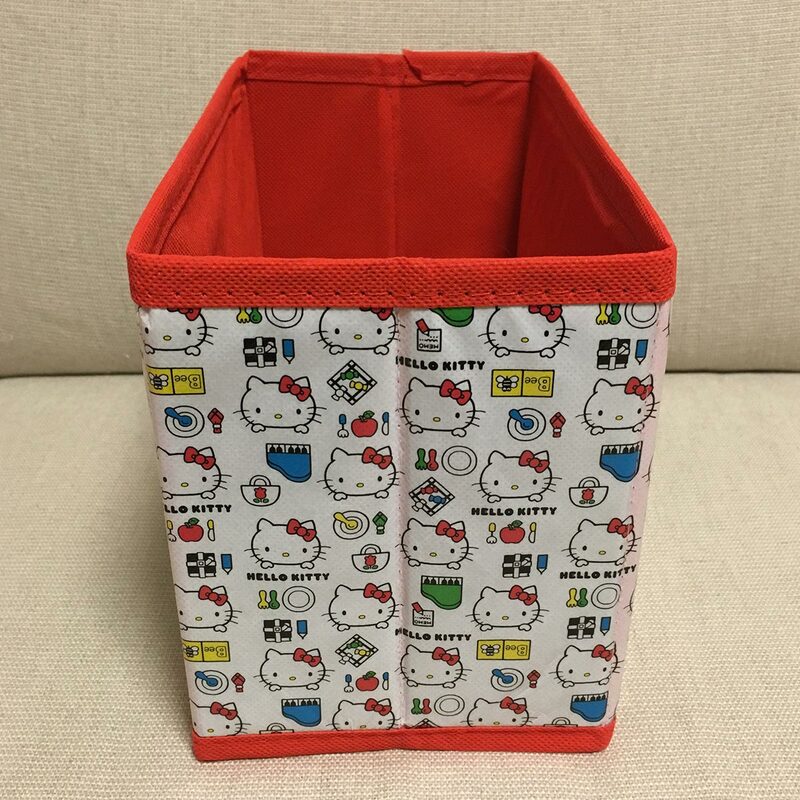 I was looking for a small box to store toys for my son, and I saw this in Daiso. It is just the right size to fit our cabinet, and it seems sturdy enough to not break within the first hour after my son attacks it, and even if he does break it, it’s only 100 yen. 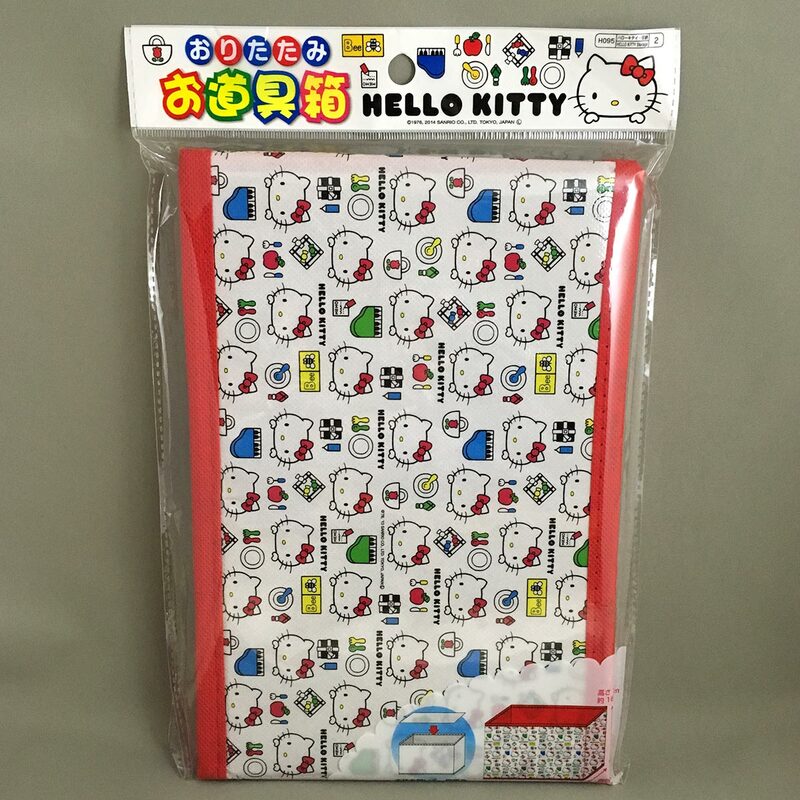 The お道具箱 (odougu bako) is a stationery box that is required for elementary schools. Most schools specify the size of the box (mostly flat A4 size boxes with lids) and what types of stationery the box should store. 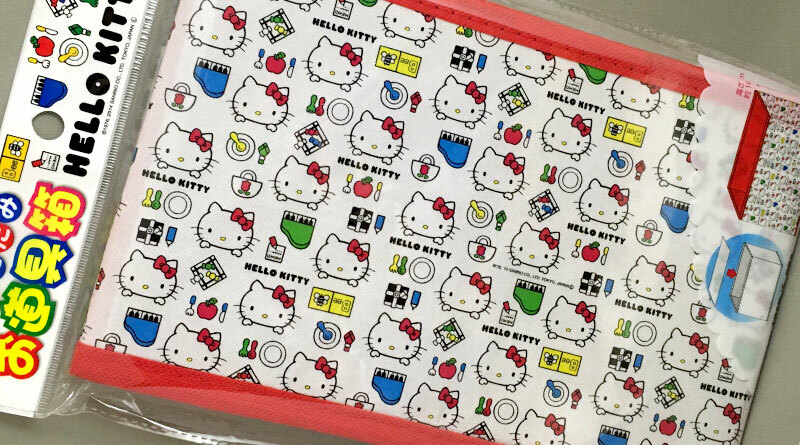 This Hello Kitty Foldable Box is probably more suited for the home due to its size and also due to it not having a lid. I would have preferred it to have a small handle on the front to pull out if it was kept in a cabinet or shelf. 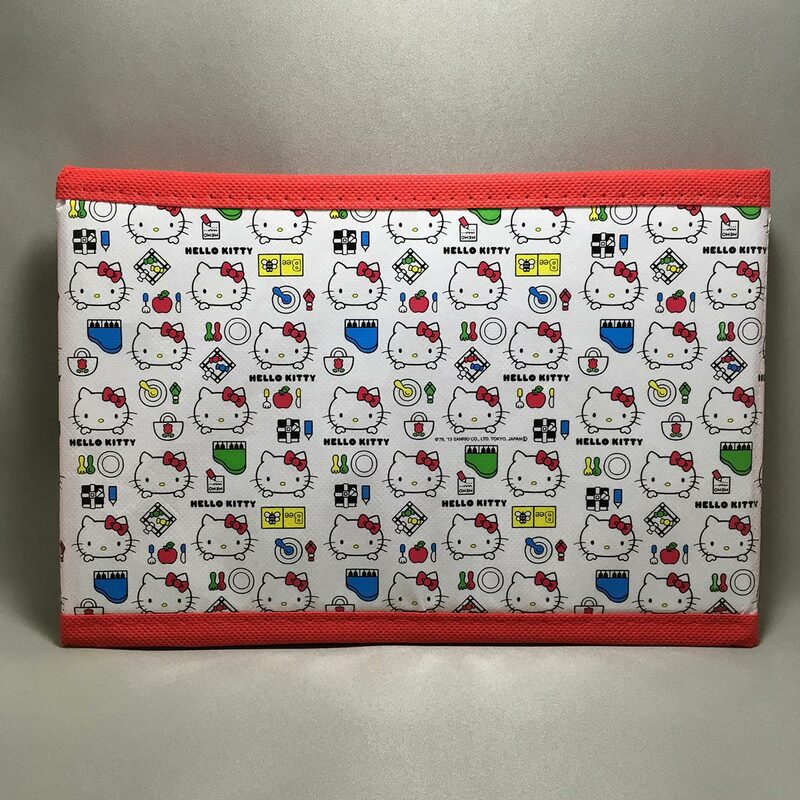 This could make a nice souvenir for kids, and it does not take a lot of luggage space.